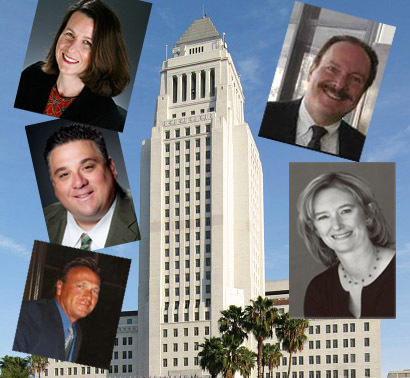 For the first three months of 2010, the five major billboard companies in L.A. paid $379,000 to firms lobbying on their behalf, according to reports filed with the City Ethics Commission. At that rate, those companies would exceed the $900,000-plus spent in 2009 by almost 60 per cent by the end of this year. The big spender was Clear Channel Outdoor, which paid a total of $176,118 to Kendall, Brill and Krieger; and Afriat Consulting Group. Next on the deep-pockets list was CBS Outdoor, which paid $98,458 to Kendall, Brill and Krieger, followed by Van Wagner Communications, with $59,995 paid out to Cerrell & Associates. With relatively modest expenditures were Regency Outdoor, which paid $30,000 to Ek & Ek, and Lamar Advertising, which sent $15,000 in pocket change to Ken Spiker & Associates.